A collection of interesting Stuff like Videos, Article, Pictures, all kind of Hilarious stuff, Funny links, Humor, Photo Galleries and also some interesting information. Its Thrilling: The best drift ever!!!! Gmail has just rolled out a very useful and much desired feature – calling people directly over their mobile or land phones from your Gmail account. Until now, Gmail has supported voice calling but that involved two users to be in front of their computers and use the internet for voice calling. But now you can call anyone in the world directly from your Gmail account, as long as you know the person’s phone number. Calls made from US and Canada will be completely free while calls to other countries will cost a very cheap rate. 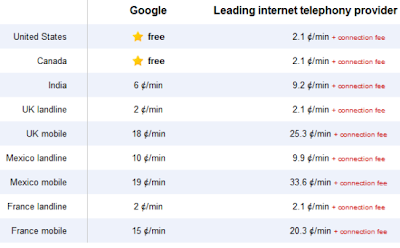 I live in India and here the standard call rates for calling mobiles vary anywhere between 25 paise to 1 rupee. The Gmail voice calls rates in India is very low – $0.06 per minute which equals only two rupee per phone call. 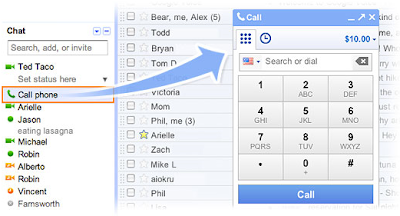 How to Call a Phone From Gmail? Next, dial the phone number or type the contact name. Typing the name will only work when the person is in your contact list and you have added a phone number against that contact. You are done! The standard call rate for Indian users is 6 ¢/min excluding connection charges. I think this is a very useful feature, you call call any phone number from the internet if you are at a place with bad reception or the mobile tower is out of range.